Psychedelic art visuals, some based on the 60’s Liquid Light Shows ! New Free videos, play it on any screen or project it in your own home along with your favorite music and let’s party, enjoy! UCVisuals, this Liquid Light Shows on your screen celebrates the psychedelic art form of live light performance pioneered in the rock clubs and avant-garde happenings of the 1960s. 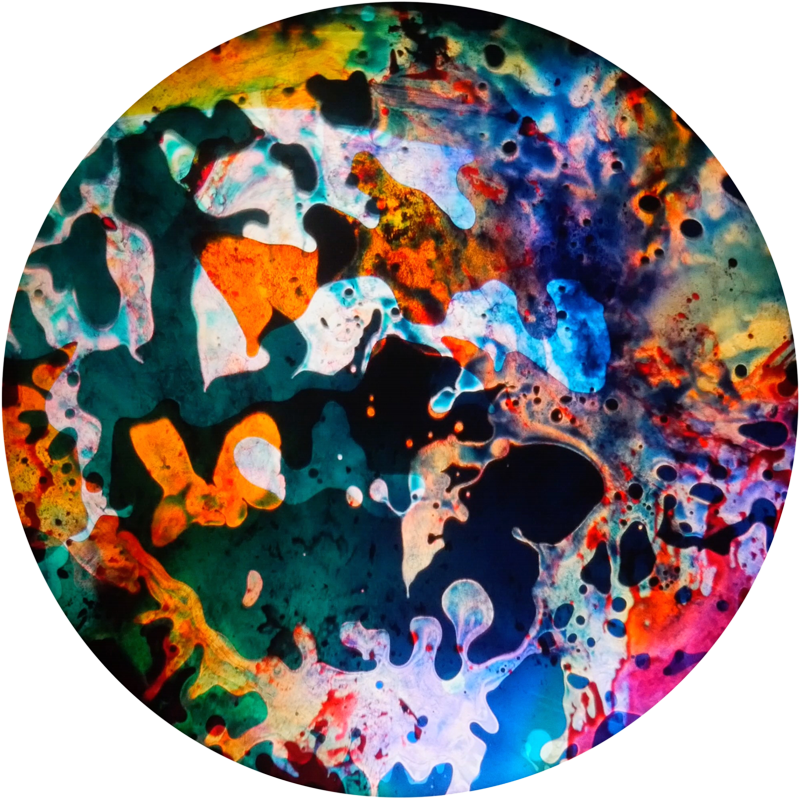 Using homegrown projection instruments and innovative techniques, these artists hand-animate painted slides, liquid mixes, and reflective materials to create a hypnotic tapestry of color and pattern. The Liquid Lightshow is typical of the creative product that came out of the Sixties. It is made up from the projection of coloured liquids. Slides containing the liquids are heated by the projector’s lamp until they start to expand and bubble, resulting in a constantly moving, abstract multicoloured image. The Liquid Lightshow became especially popular as a stage background at concerts by bands like Jefferson Airplane, The Doors and most of all Pink Floyd, who employed their own lightshow artists. The kaleidoscopic images, seemingly pulsating to the beat of the music, which gave an extra dimension to the perception of their performance. Soon, every self-respecting band in the late Sixties and early Seventies had a Liquid Lightshow and the phenomena spread to discotheques, theatres and youth clubs. It was the beginning of the elaborate lightshows of contemporary rock bands. Go with the flow and colors of 1967, the Summer of Love! Specially made with old projectors and new computers. Add it to your favorite music and start to party! Tranquil, peaceful & flowing fantasy colors for meditation. Add it to your favorite ambient music and let go. Festive, varied & living colors to dance and to party. Add it to your favorite music and go loud and clear. Old school style, specially new-made with our Aldis Tutor, the projector of the 60’s Liquidlight shows. Add it to your favorite music and start to party!